If you’re a notebook addict like me, you might be interested in some of the options available for the iPad. 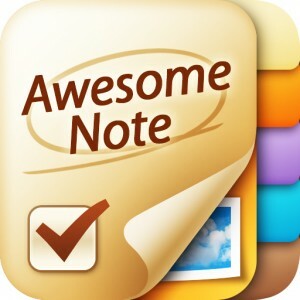 My favourite is Awesome Note by Bridsworks. It goes for $4.99 in the iTunes App Store, but it’s worth every penny. There are a bunch of free options for notebooks available in the app store but the functions on this one aren’t really comparable. 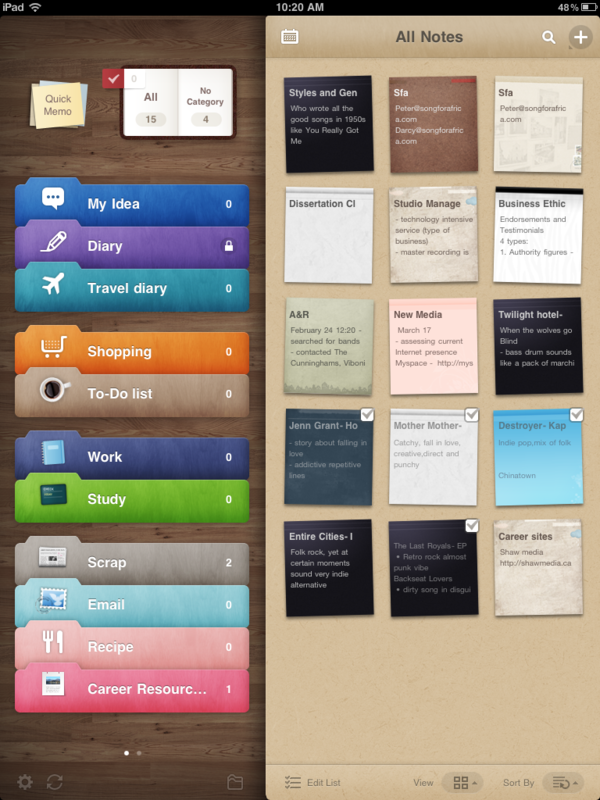 I love the colourful folders and themes available for each page. They are also constantly updating it with more features. 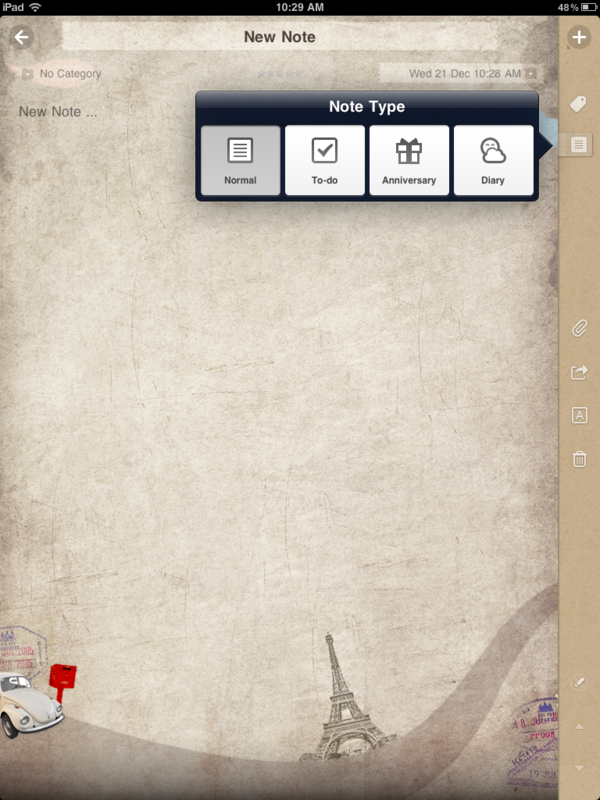 There are different types of notes where you can add photos, text, send to friends, add links. There is a calendar where you can keep track of when you wrote what, or did what. And if you don’t want someone to read something, you can add a password-locked diary. It’s a fully functioning notebook that can probably replace all the notebooks a notebook addict has at home. However, I still prefer to touch actual books.